From the beginning of the New Year, Continental is to be an official partner of the Tour de France. 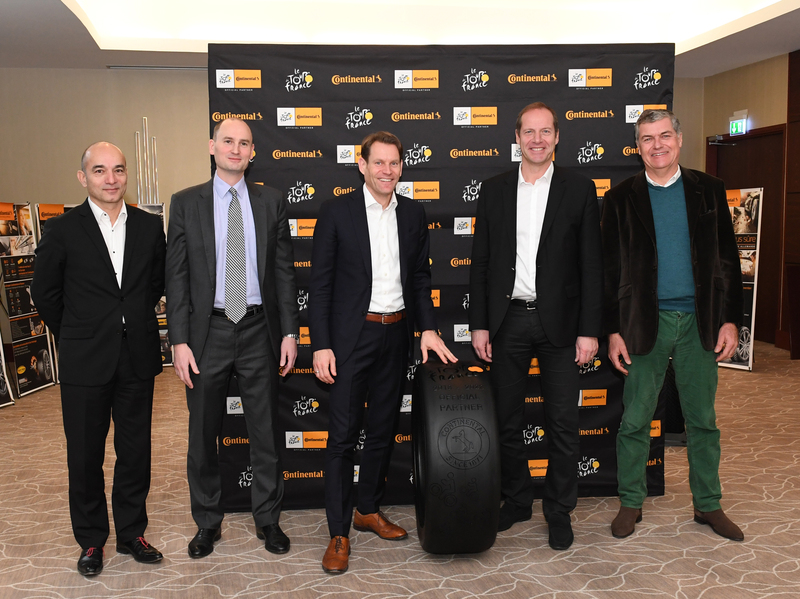 The sponsorship agreement was officially confirmed by Christian Prudhomme, Director Tour de France, and Nikolai Setzer, Member of the Executive Board of Continental AG responsible for Corporate Purchasing and head of the Tire division. “For Continental becoming an official partner is the logical next step in our commitment to the development and production of high-tech tires for racing bikes – tires that are also used in the Tour de France,” underlined Setzer at the ceremony in Paris. “Through this move we are demonstrating our great tire manufacturing expertise in a unique environment of worldwide significance – a cycle race that not only demands the ultimate in safety but also calls for benchmark standards in terms of rolling resistance and weight.” Last year alone, nine teams competing in the Tour de France ran on Continental tires, including Tour winner Christopher Froome. From 2018 onward, for an initial five-year period Continental will maintain high visibility around the world’s toughest cycle race. The main official organization vehicle at the Tour de France will be equipped with Continental tires.